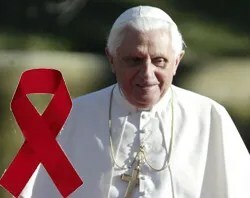 Aboard the papal plane, Mar 18, 2009 / 11:35 am (CNA).- Yesterday the international media played host to a raft of experts railing against Pope Benedict’s brief words on the use of condoms in the fight against AIDS. However, the incident was the result of the Pope’s words being pulled from his defense of the Church’s personalistic approach to the AIDS crisis. The vast majority of the Pope’s words were dedicated to explaining how the best response to AIDS is to promote a spiritual and human renewal of people’s understanding of sexuality and to be willing to live true sacrificial friendships with those who suffer from AIDS. A full transcript of the exchange follows. “Holy Father among the many evils that affect Africa there is also the particular problem of the the spread of AIDS. The position of the Catholic Church for fighting this evil is frequently considered unrealistic and ineffective. “Will you address this issue during your trip? Holy Father, could you please respond in French to this question?” he asked. Although the Pope responded to a previous question from the French newspaper La Croix in French, he gave this in-depth answer in Italian. “It is my belief that the most effective presence on the front in the battle against HIV/AIDS is precisely the Catholic Church and her institutions. I think of the Community of Sant’ Egidio, which does so much, visibly and invisibly to fight AIDS, of the Camillians, of all the nuns that are at the service of the sick. “I would say that this problem of AIDS cannot be overcome with advertising slogans. If the soul is lacking, if Africans do not help one another, the scourge cannot be resolved by distributing condoms; quite the contrary, we risk worsening the problem. The solution can only come through a twofold commitment: firstly, the humanization of sexuality, in other words a spiritual and human renewal bringing a new way of behaving towards one another; and secondly, true friendship, above all with those who are suffering, a readiness – even through personal sacrifice – to be present with those who suffer. And these are the factors that help and bring visible progress. “Therefore, I would say that our double effort is to renew the human person internally, to give spiritual and human strength to a way of behaving that is just towards our own body and the other person’s body; and this capacity of suffering with those who suffer, to remain present in trying situations. By Fr. Abe Arganiosa, CRS. The Catholic Church serves, protects, defends, promotes life from Conception to Natural Death, from Womb to Tomb… So, your statement is filled with lies. I expect that statement to come from enemies of the Church such as the Communists and the Atheists but not from a so-called Catholic like you. May be you are a fake. You seem to be ignorant of the activities of your Church. In the Philippines alone there are more houses for charities owned by the Catholic Church than by the government. In India even if majority is Hindu the Catholic Church is highly respected because of the works of charities for life through the hands of Her missionaries. My suggestion for you is BE REAL. Anonymous said… Dear Abe, sorry for not replying earlier, but I was busy studying your founder. I think he was a free man and he was not afraid to think with his own brain. Thank you very much for studying the life of our Founder St. Jerome Emiliani. Indeed, he was a free man. Freed by God through the intercession of Mary. Freed from his sins and pride and earthly glory and became a man of God, defender and protector of the weak children. He found his freedom in God, in devotion to the Blessed Virgin Mary and in fidelity to the Catholic Church. HE DIDN’T BECOME A TRAITOR CATHOLIC. I agree that he was not afraid to think with his own brain but he never allowed his brain to be contaminated by heresies and immoral thoughts of RIPPING THE BABIES OUT OF THEIR MOTHERS’ WOMBS. His brain was firmly founded on the Truth of the Catholic Faith. He was one of the saints who strengthened the Church during time of wars and countered the rise of Reformation in Europe. For example, in his prayer he writes: ” Our dear father, our Lord Jesus Christ”. It seems to me that he was not afraid to use his brain and to think out of the box. St. Jerome did think out of the box but he never went too far as to spouse heresies and immoral teachings. He valued human life so much that he died serving it. He died early because he was serving the sick and was burying the corpse of the dead lying on the streets at the time when Alcohol and Anti Bacteria medicines were not yet discovered. He contacted the desease himself and died calling the name of Jesus. To claim that St. Jerome will advocate the pagan Abortion is like dreaming of imprisoning the wind. It is not just a stretch of imagination it is delusional. Your modern prophets attack the Pope and the Church but St. Jerome served God, the Church and the Pope with all his heart and strength until death. On the other hand, you, a follower of St. Jerome, are afraid to think with your brain and keep quoting the Vatican to justify your positions and ideas. I reject your beloved Abortion because it is EVIL. It is MURDER. It is KILLING OF INNOCENT. I take that position as a human being and as a NATURAL REACTION of Living Beings such as dogs, chicken, birds, pelican and many others. Your position is unworthy even on the level of Animality. May I ask you? Why do Bears protect their young? Did they learn it from the Vatican? How about the dogs? Are all the dogs of the world Vatican trained? How about the chicken? Are they Vatican educated? Your position is Un-Animal, Inhuman, UnChristian and Un-Catholic. You don’t like me to quote the Vatican to justify my positions and ideas. How about you? You are clinging to the names of Sobrino, Kung, Curran, Haight et al for your position and ideas so you are a puppet of these heretics. You are afraid to use your own brain, your own Catholic Faith, your own Christianity even your own Animality because you have become a slave to the thoughts of your modern day prophets who are traitors to the Pope and to the Church and to the teachings of Christ. You are willing to abandon your Church and your Pope in order to sell your soul to the likes of Kung and Curran. I’d rather practice Kung-Fu and dance the Curacha rather than be with those demons. I am not ashamed of quoting the Vatican because since the early life of the Church, the Bishop of Rome is considered as the ‘presider in charity’ in the Universal Church. Disputes in matters of Faith and Morals were always brought to the Bishop of Rome for definitive decisions. Besides, I find the arguments of the Popes as more reasonable and more faithful to teaching of the Jesus of Nazareth and of the Apostles and of the Prophets than your so-called modern prophets. If the Vatican will advocate Abortion like you do, then I will renounce it too. Thanks be to God, the Lord Jesus has promised special protection for the Blessed Peter: “The Gate of Hell Shall Not Prevail Against It”. You must have forgotten how we started this exchanges you reacted to my post about Obama. So, you love Obama more than the Pope. You prefer Washington than Rome. Your faith is political based not religious based. I chose Rome over Washington because it is the Church of Peter and Paul. Then, it seems tho me that he was very open to lay people. Of course he is open to lay people because St. Jerome Emiliani is a LAYMAN. He was never ordained a priest, contrary to some biography appearing on the internet. He remained a lay person throughout his life. He was the founder and head of the Order during his lifetime even though there were priests members then. But, he respected the authority of priests under him especially their God-given authority on the Sacraments, and on their part the priests, some of whom were former Nobles like Jerome who left the life of grandeur, respected Jerome’s administrative authority. May be in your church but not in THE CATHOLIC CHURCH. Women are honored and respected and treated with love and care in ‘OUR’ CHURCH. 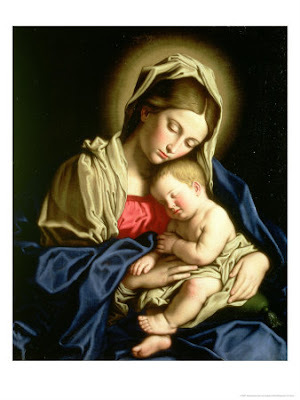 The highest honor given to a human being after Jesus the God-Man is bestowed on a Woman — MARY OF NAZARETH — The Virgin who conceived and gave birth to the Messiah. All Catholic males, priests or lay, are bowing before her and calling her name in praise — Ave Maria! Hail, Mary full of grace! The fullness of grace is given to a woman. Imagine the male priests, monks, altar servers, soldiers are all kneeling with Rosaries in hand reciting Hail Mary countless of times. The Catholic Church commissioned the greatest artists such as painters of the calibre of Michelangelo, Leonardo, Raphael, Fra Angelico to depict her in arts while the likes of Mozart, Beethoven, Vivaldi depicted her life in music. Other Christian groups have nothing to compare with that. They are bereft of honor for the greatest of all women. Not only Mary the Mother of Jesus. The Catholic Church contrary to the claims of Dan Brown honors Mary Magdalene after Mary of Nazareth. She is also depicted in Arts, streets and cities and municipalities in Catholic Countries such as the Philippines are named after her, her feast is celebrated with joy and expressions of love. Churches were built in her honor – chapels, oratories, basilicas of great beauties were founded to honor the first witness of the Resurrection. The number of female saints are too numerous to be counted. Our Catholic women saints were great writers, theologians and mystics such as St. Teresa of Avila, St. Catherine of Siena and St. Therese of the Child Jesus. All great saints, all declared Doctors of the Church. Other Christian groups never honored their women in such a sublime way, elevating them to the honors of the Altar. St. Catherine of Siena was even castigating, reprimanding the Pope of her time but she was also respectful of his authority or that of the priests. You might claim that Catholic women are not given enough leadership than their Protestant counterparts. O no, that is a misimpression. Catholic Women are more powerful than their Protestant counterparts. The Abbess and the Mother General of the Religious Orders like Mother Teresa of Calcutta and her successors are top CEOs of their Congregations, Monasteries and Orders many of which own and run several Universities, Colleges, Hospitals, Orphanages, Leprosarium, Home for the Aged, etc. Almost all these Orders and Congregations are international. They are very influential and well respected in the Church and in the Society. Here in the Philippines the Assumption College of the Assumption Sisters have produced the two female presidents of the Republic of the Philippines while the Protestant U.S.A. has none. The number of Catholic female theologians are also as numerous as those of the Protestants. The lay Catholic women are also prominent leaders in the organizations in the Church. My sister himself was a former president of the Parish Pastoral Council and during her tenure [even until now that she relinquished the office] she was respected by the priests and the males in the parish. At home, my mother was respected very much and was never treated as second class citizen. I grew up in Catholic schools and women are always treated with respect. Any boy who showed disrespect to the girls automatically talked to seriously by the adviser teacher and the guidance counsellor. Respect of women were instilled in our hearts and mind and I don’t know who taught you that line that women are second class citizens in our Church. May be we do not belong to the same Church. Well, since I’m not anonymous and truly a certified Catholic priest, may be you are not a priest or not Catholic at all. To add, in our Somascan School in Sorsogon — the Aemilianum College — the High School principal is a woman who is with us for the past 20 years. She is loved and respected by all. When she commands, all of us including the priests obey. And in College Department, the Dean is another woman. A prominent Doctor of Education, a well respected lady in the school and in the society. It’s the same. When she gives order we all obey. and they are denied of the gift of PRIESTHOOD. Why? Just because the Vatican says so!!!! !Please, let us be open to the gifts of the Spirit and value the ingenuity of the feminine spirit. Are you crazy? You are showing ignorance of the Catholic Church reasons why women cannot be ordained as priests. WOMEN CANNOT BE ORDAINED PRIESTS BECAUSE JESUS ORDAINED ONLY MALES TO THE HIERARCHY OF THE APOSTLES. And, when the Apostles were spreading the faith, they chose only males to be their successors and this is unbroken for two thousand years. The Pope says that HE HAS NO POWER TO VIOLATE THE DECISION OF CHRIST THE LORD. Mary of Nazareth, Mary of Magdala, Mary and Martha of Bethany, etc. were also leaders of the Church but not as priests. MARY OF NAZARETH, IN FACT, WAS HIGHER THAN THE APOSTLES IN DIGNITY, HONOR AND IN SANCTITY BUT THE LORD JESUS DIDN’T GIVE HER THE AUTHORITY OF PRIESTHOOD. If you want to blame someone for the decision blame Jesus not the Vatican. You are barking on the wrong tree. You can also blame God because in the Old Testament the priests of the surrounding countries include women but the Order of Melchizedek and the Order of Aaron that He established in Israel was ALL MALES. In the New Testament, Jesus assumed the Order of Melchizedek and it is also ALL MALES. So, to choose female priesthood is to diverse into pagan culture. I want to remain in the Judaeo-Christian Faith while you prefer the pagan way. What is wrong if women cannot be priests? They can be nuns and Catholic males cannot become nuns as well no matter what. What the males can possess the females can’t while what the female can possess the males can’t as well. Each one must recognize their gifts. The gift of priesthood was not offered by Christ to women, that’s not Vatican invention. The female priesthood is pagan invention and Canterbury invention. I prefer the Vatican than the paganized Canterbury. If a woman wants to have male genital that’s delusional. If she insists she can have it but its artificial and fake. If a man wants a female organ its delusional. If he insists then he can cut his own away and be broken to get his wish but its artificial and fake. The priesthood of women is fake and artificial and so is the nunship of men. Look at the Anglican and Episcopalian Churches when they accepted female priesthood the more they lost their followers. Giving in to the desires of some to the detriment of the True Faith is the road to destruction. Thanks be to God the Catholic Church is steadfast as a Rock. O, the ingenuity of the feminine spirit is more uplifted in the Catholic Church. Give me a name of a prominent female Protestant religious leader and I will compare her to the best Catholic female leader we have. Let us see who has more prominence, more social relevance and more internationally renown and more influential. Let us compare. I will give you two samples: Mother Teresa of Calcutta [the saint of the gutter] and Mother Angelica of Alabama [the only religious leader who built a Telecommunication Empire – The EWTN – out of car garage of her convent]. Lastly, your exegesis is a little bit poor and still follows the teaching of Vatican I (1870). Well, I know that my exegesis is poor because I am not rich and anyway I do not pretend to be an Exegete. This blog is not made for scholarly articles but for simple people. So, your criteria is out of touch with reality. You are giving me a criteria that I never claimed for my works in this Blog. What I have here are simple reflections of life and the apologetic articles I’ve been posting here are for those who are seeking basic Biblical support of the Catholic Faith. If you want something deeper then read the CATHOLIC ENCYCLOPEDIA freely given in the net or read the articles on EWTN Library or in Catholic Answers. This Blog is not for the learned but for the simple. If you are not aware there is also a free Summa Theologiae in the web you can enjoy it till Kingdom come. If my exegesis is poor yours is horrible and miserable. Imagining proof of Abortion in Mark 14,21 “Better for that man if he had never been born” that could tell us that even Jesus was open to a possible “pro-choice” position is taxing my mind. You have forgotten the fact that Jesus allowed Judas to be born. Your conclusion is hallucinatory while my position is based on concrete reality. So, you are no longer following the Vatican I. You are a heretic after all. A Catholic must accept the documents of ALL 21 ECUMENICAL COUNCILS OF THE CHURCH. Where did you get the idea that Vatican I must not be followed, from your prophets? I follow Vatican II and Vatican I and Nicaea, Ephesus, Chalcedon, Constantinople, Florence, Lateran, etc. and I abhor your Modern Prophets. There is never any statement in Vatican II stating that Vatican I must be discarded. Once again your heretical mentors have deceived you. The Greek language has 2 different words for Brother and Cousin, but the evangelist chooses the word “Brother”. It is clear “why”. Because Jesus had some brothers and sister and they were known at the time of Jesus. O, another heresy here. You are denying the Perpetual Virginity of Mary. The heresy of Helvidius. He,he,he… Heresy begets heresies… As I thought you are not a real Catholic priest and you are not a real Catholic. I think you are one of the Berean Cowards, eh. Pretending to be one of ours. Like the Devil working in the shadows you preferred to work in the dark. This could be RODIMUS THE COWARD himself doubly incognito. Look at the original Greek. The word used for brothers is ADELPHON and for kinsmen SUGGENON KATA SARKA. St. Paul speaks of his brothers who are not his siblings but Kinsmen — they are relatives according to the flesh. If you will study the use of Adelphos or Adelphoi in Greek Bible you will find that it is used about 9 or 12 times with other meanings beside blood brethren. Moreover, this is not against the profession of Faith that defines our Catholicity. I keep praying for you and your Major Superiors. May St. Jerome enlighten and open your heart!!!! Thank you once again for your prayers. If you mean St. Jerome enlightening me to be pro-Abortion. You are hallucinating. The wrath of God will come upon those who are murdering children especially innocent children in the womb. Their innocent blood spilled on the ground cry out to heaven for Justice like the blood of Abel. Instead, St. Jerome is praying for your conversion to the Truth. NOW, AFTER GIVING YOU ENOUGH SPACE IN THIS BLOG. I BELIEVE IT IS TIME TO REJECT ANONYMOUS MESSAGES FROM NOW ON. I TRIED TO BE OPEN AND ACCOMMODATING BUT HERETICS AND PROPONENTS OF SATANIC MURDER OF CHILDREN ARE CREEPING IN. THROUGH THE INTERCESSION OF ST. MICHAEL I LOCK THIS BLOG AGAINST MALIGNANT SPIRITS AND PERSONS PROMOTING SUCH ABOMINABLE THINGS AND EXPEL THEM FROM HERE. IN THE NAME OF JESUS THE LIFE AND THE LIGHT OF THE WORLD. AMEN. 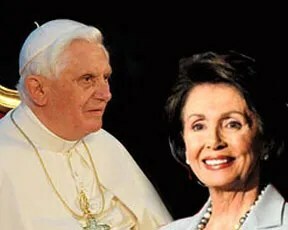 Vatican City, Feb 18, 2009 / 10:18 am (CNA).- House speaker Nancy Pelosi’s photo-op with Pope Benedict XVI turned sour when the Pontiff used the 15-minute meeting to reaffirm the teachings of the Catholic Church on the right to life and the duty to protect the unborn. No photo of Nancy Pelosi and the Pope will be forthcoming, since the meeting was closed to reporters and photographers. The two met in a small room in the Vatican just after the Pope’s weekly public audience. A significant number of Catholic and pro-life organizations expressed concern over how Pelosi would use the meeting with Pope Benedict to further her position that it is possible to be Catholic and pro-abortion. On Tuesday, Jon O’Brien, president of “Catholics for Choice,” a small, well-funded organization that provides theological arguments to pro-abortion Catholic politicians, told The Hill that today’s visit between the Speaker and Pope Benedict would be an opportunity to highlight that one can be pro-choice and Catholic, and that there are much bigger issues out there to discuss, such as the fate of the poor in the global economic downturn. “That would be a real conversation about choice, instead of this micro-obsession with abortion,” O’Brien said. Nevertheless, according to the Holy See’s statement, the Pope spent the whole 15 minute conversation talking with Pelosi about the right to life and the need to defend the unborn. A spokesman for Pelosi, who is now headed to Southern Italy as part of her Italian tour, said she would issue a statement later in the day regarding her meeting with the Pope. The Deposit of the Faith is composed of Faith and Morals. The articles of Faith are contained in the 12 major Articles in Nicene Creed. The Moral Teachings of the Church are based on the 10 Commandments and elucidated further by Sacred Scriptures, Apostolic Witness, Patristic Sources and the Magisterial Teachings of the Popes throughout the centuries. Ex 21:22-25 22 “If men who are fighting hit a pregnant woman and she gives birth prematurely [a Miscarriage] but there is no serious injury, the offender must be fined whatever the woman’s husband demands and the court allows. 23 But if there is serious injury, you are to take life for life, 24 eye for eye, tooth for tooth, hand for hand, foot for foot, 25 burn for burn, wound for wound, bruise for bruise. Isaiah 49:1 Listen to me, you islands; hear this, you distant nations: Before I was born the LORD called me; from my birth he has made mention of my name. The entire Sacred Scriptures cry out to each one of us to love, protect, defend and serve life. The first destroyer of life is Abortion and therefore there is no middle ground in this case. We either take the side of Life by rejecting it or we take the side of Evil by supporting it. Dear Anonymous, you keep on insisting that I called you a ‘Traitor’. Please read our exchanges carefully. I didn’t refer to your person as a traitor, how can I? I do not even know your name. How can I pinpoint on someone whose identity is hidden in the dark. There are so many people sending messages here anonymously. I respect them but I do not hesitate to oppose or argue on something that is contrary to the Faith. Abortion is essentially contrary to the Faith and Morals of the Catholic Church. I refer to those who are advocating Abortion as traitors and have invited you to join us opposing it. Instead, of accepting my invitation you appear to be upset that I called you a ‘Traitor’. Well, IF INDEED YOU ARE A CATHOLIC PRIEST and PRO ABORTION I REALLY WANT TO CALL YOU A TRAITOR. MAY GOD HAVE MERCY ON YOUR SOUL AND MAY THE SOULS OF THE MURDERED-ABORTED CHILDREN INTERCEDE FOR YOUR SOUL BEFORE THE JUDGMENT SEAT OF GOD. If you will read the Introduction of the Gospel, it is a proclaimation of the Birth of a Child by whom Salvation comes. The Angels and the Saints rejoiced at His Birth and since then it has created Glad Tidings to all People of Good Will. Then the forces of evil works so hard to destroy and kill that Child. The last Book of the Bible, The Book of Revelation declares that the Red Dragon who is Satan was trying with all his might to devour the Child in the Womb of the Woman Clothed with the Sun [Rev 12:4] but God worked miracles to protect the Child and His Mother Mary. That DRAGON is the progenitor of Abortion. It came from Satan [Rev 12:9] the Deceiver of Mankind, the ancient Serpent who poisoned our First Parents. 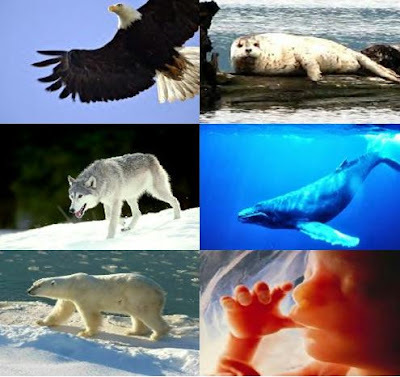 The Abortionists are agents of death and the supporters of such evil are the same whether they are aware of it or not. Abortion is evil and we cannot accept it. That is the reason why the most beloved icon in the Catholic Church is that of Madonna and Child. The Lord of Life gave us Salvation because He became a Child and that the Blessed Mother accepted Him in love as her Son. It is true that Abortion is only one of the issues in Faith and Morals but it is Essential. That is why those who procure Abortions and participated in its realization automatically earn Latae Sententiae Excommunication. ARE YOU REALLY A CATHOLIC PRIEST? I have a strong doubt if you really are because you seem to be ignorant of the reasons of the Church against Abortion. To say that it is simply a recent issue smacks of basic ignorance that is unworthy of any Catholic priests all of whom studied Catholic Ethics and Morally for several years. “Those who hold the reins of government should not forget that it is the duty of public authority … to defend the lives of the innocent … among whom we must mention in the first place infants hidden in the mother’s womb. And if the public magistrates … do not defend them, but by their laws and ordinances betray them to death at the hands of doctors and others, let them remember that God is the Judge and Avenger of innocent blood which cries from earth to heaven” (POPE PIUS XI, Casti Connubii No. 67). MAY ST. JEROME EMILIANI, DEFENDER AND PROTECTOR OF CHILDREN TOUCH YOUR HEART AND MIND TO LET YOU SEE THE EVIL OF ABORTION! Gay Marriage in the Bible? Interpretive Failure: To prove the Bible’s support for gay marriage, Miller is forced to assume that it is the recorded behavior of the characters in the Old Testament which determines Biblical teaching, and she is forced to ignore the larger scope of the Bible’s didactic message. For example, the fact that some of the Patriarchs were polygamists says absolutely nothing about God’s teaching, yet for Miller this proves that the Bible cannot be taken as a guide to the morals of marriage. At the same time, she ignores the Bible’s grand themes entirely. Fundamental motifs appear in Genesis, run throughout the prophetic tradition concerning God’s relationship with Israel, resurface more clearly in the words of Christ and the teachings of St. Paul, and always point both implicitly and explicitly toward marriage as an exclusive fruitful union of love between a man and a woman—a relationship which mirrors that of Christ and the Church. Lack of Context: Closely related to this first problem is Miller’s utter inattention to two important contextual issues which make it impossible to interpret the Bible in a manner favorable to gay marriage. First, while she admits that the Bible condemns homosexuality, she tries to dismiss this condemnation as mere cultural baggage. Hence, within a few breaths of refusing to recognize the obvious cultural baggage of patriarchal polygamy (represented in descriptions of how the patriarchs lived), she insists on dismissing the passages against homosexuality (represented in explicit teachings), thereby turning context on its head. Second, Miller ignores the lived experience of the Jewish and Christian communities from the time that the Old Testament was fully formed. This experience, based on the community’s own understanding of what God had revealed, enshrined a monogamous, heterosexual view of marriage which was to be fruitful in the bearing of children. Arguments in favor of contraception, homosexuality and gay marriage were of pagan origin, were kept at bay for well over 2,000 years, and have resurfaced only with the resurgence of paganism in our own era. Ignorance of Tradition and Authority: Miller can hardly be unaware of the role that tradition and authority play even in Jewish and Protestant belief, yet she chooses to frame her entire case in terms of a Fundamentalist reading of Scripture, as if the only Christian arguments come from proof-texting. Granted, some Christians are too quick to assert the Bible’s meaning, and only Catholics have an adequate answer to the claims of private interpretation of the “plain text”, but as indicated above, the traditions of the communities in question should provide interpretive clues to any serious exegete. And when we come to Catholicism, Tradition associated with the community becomes an acknowledged second source of Revelation. Moreover, the successor to Peter becomes an acknowledged source of authority for the settling of disputes over both Scripture and tradition. This highly crystallized tradition and authority has for 2,000 years spoken against all of the errors Miller advances, both interpretive and moral. Moreover, in Catholicism we have also a particularly rich and accessible embodiment of the Christian intellectual tradition, including extensive work on the natural law, a source of moral understanding open to all but made easier to discern by Revelation. Natural law similarly condemns both homosexuality and the grotesque parody of marital union represented by even the most enduring gay commitment. For contrary to Lisa Miller, the core of marriage does not consist in stable emotional commitment. Rather, stable emotional commitment is demanded by marriage’s defining character as a deep and fruitful fidelity, by which a man and a woman actually complete and fulfill their respective natures, becoming two in one flesh. Sadly, about this basic character of marriage our contemporary Western, sophisticated and neo-pagan world has not the slightest clue. One would expect a religion columnist to notice such a glaring cultural fact. Instead, Lisa Miller aligns herself with a strong editorial trend, evidenced in at least three major statements over the past month (see also The End of Newsweek), by which Newsweek has revealed its own profound lack of vision, leading all those blind enough to follow into the proverbial pit.